…except, it isn’t. What happens next takes the movie into completely different territory and serves only to dissipate the sense of muted dread that has been achieved so far. 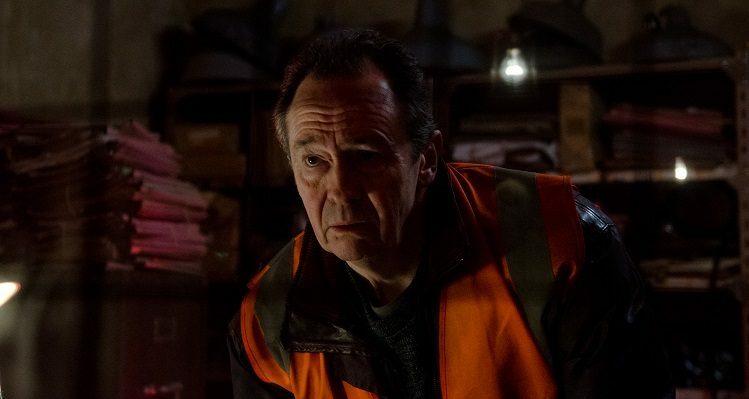 It expands on the framing device of Goodman’s investigations, but in a way that abandons the eerie approach of the first hour in favour of a waking nightmare scenario that sees Goodman haunted by events from his childhood. There’s a pay off at the end (which is meant to be clever, but feels contrived instead), but by then it’s too late. The initial promise of the movie – that Goodman’s investigations will reveal a world of horror he can’t explain away rationally – never gets off the ground, and while there are plenty of riffs and echoes on events within the movie, there’s too much that proves superfluous. The title is misleading as well, as only one of the stories, the first, is about an actual ghost. And as the movie progresses, it does what so many other horror movies fall prey to: having inexplicable things happen for no other reason than that it’s a supernatural story and anything can happen… even though they shouldn’t. The movie is also hampered by its indecisive tone. There’s humour here, and in the second story a little too much (though Lawther’s reply to the Devil’s command to “Stay” is priceless), and some of the situations and the performances veer between serious and comic, often within the same scene. Whitehouse plays his character straight for the most part, but the script can’t resist giving him a few forced one-liners. Lawther is batty with a side order of nuts, while Freeman opts for supercilious, a decision that fits the character but which leaves him looking and sounding as if he’s walked in from another movie altogether (and not a horror movie). Alas, it’s Nyman who really draws the short straw, which is unfortunate given his involvement as co-writer and co-director with Jeremy Dyson. Goodman is a classic naïf, in way over his head, and with no idea what he’s got himself into. As a result, Nyman does baffled a lot, and then afraid without knowing why he should be (aka baffled a bit more). 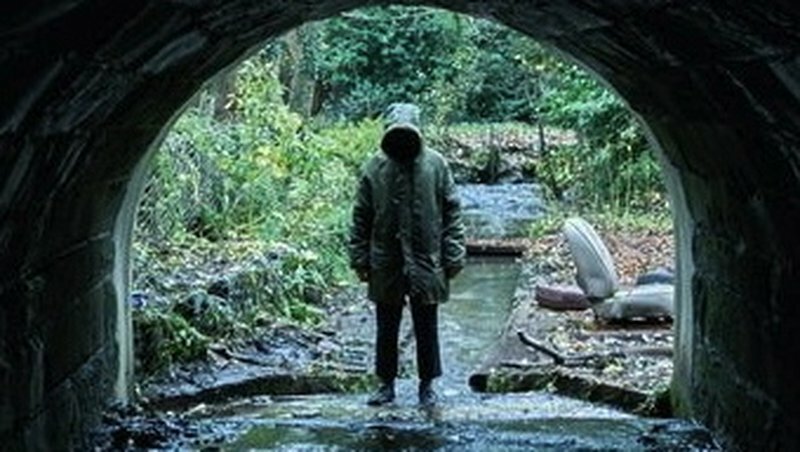 On the plus side, Ole Bratt Birkeland’s widescreen cinematography is a major asset – you’ll be looking in every corner for the next scare – but aside from some knowing references to Seventies British horror, this is standard fare given an unlikely and surprising boost by critics who really should know better. 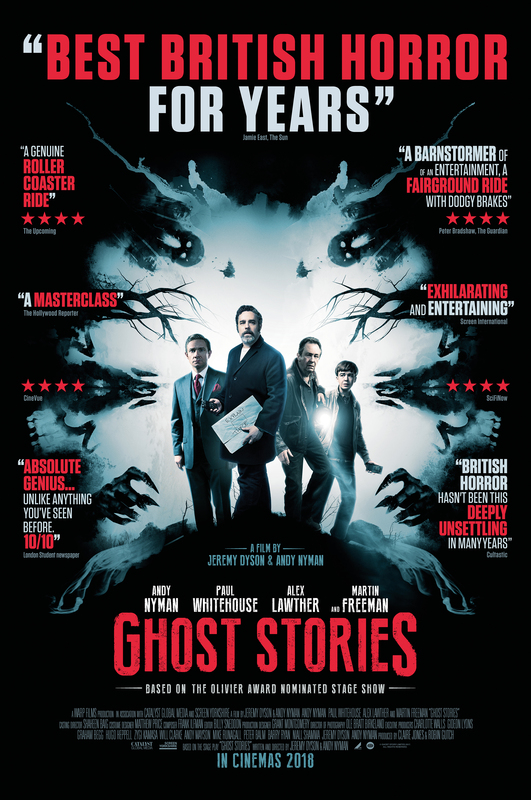 Rating: 5/10 – an adaptation of the original stage play, Ghost Stories is less the straight up horror movie it looks like, and more of the convoluted psychological thriller with horror overtones that it actually is; less effective than it needs to be, and uneven for much of its running time, it’s a movie that manages to throw in a few good scares, and offers a handful of creepy moments, but very little else to keep real fans of the genre properly entertained.